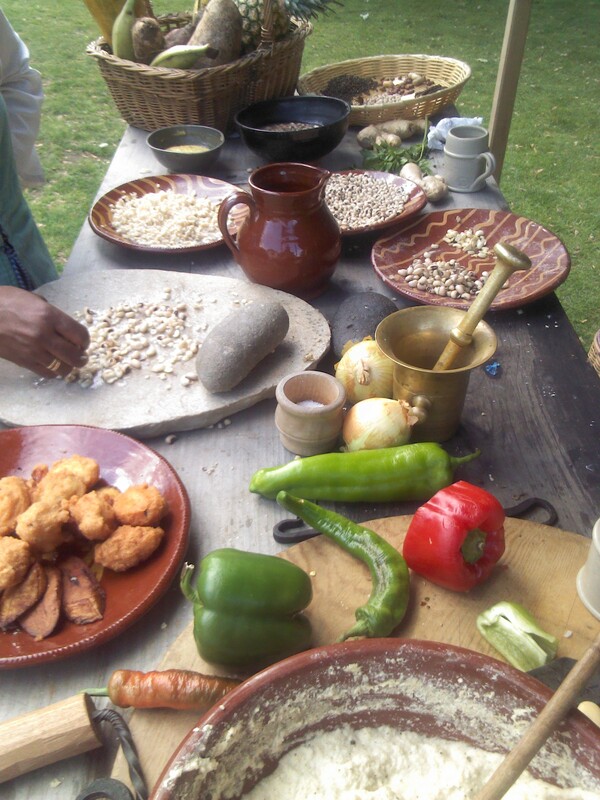 JAMESTOWN — On Saturday, August 4, Michael W. Twitty, a recognized culinary historian and living history interpreter, will present on-going programs on historic African-American food and folk culture from 10:a.m. to 4 p.m. at Historic Jamestowne. Twitty will demonstrate the food heritage of Jamestown’s first Africans around an open campfire by preparing several recipes from 17th century Angola, then look at how these foodways changed by preparing these same recipes as they evolved in the New World of the British Colonies. Mr. Twitty will also have examples of fruits, vegetables and other food products used in Africa in the 17th century. Award winning historian and actor-interpreter Jerome Bridges will explore the African experience at Jamestown in the mid-17th century through his characterization of African-American, Anthony Johnson. Johnson will share his experiences, from arrival in Virginia in 1621 as an indentured servant, to gaining his freedom, and his life in the 1640s, when he owned 250 acres of land as a freeman on Virginia’s Eastern Shore. Program times are at 10 a.m., noon and 2:30 p.m.